Where can i buy this book,,tried amazon,,out of stock,,,don't have it in Waterstones,,,anyone out there know? 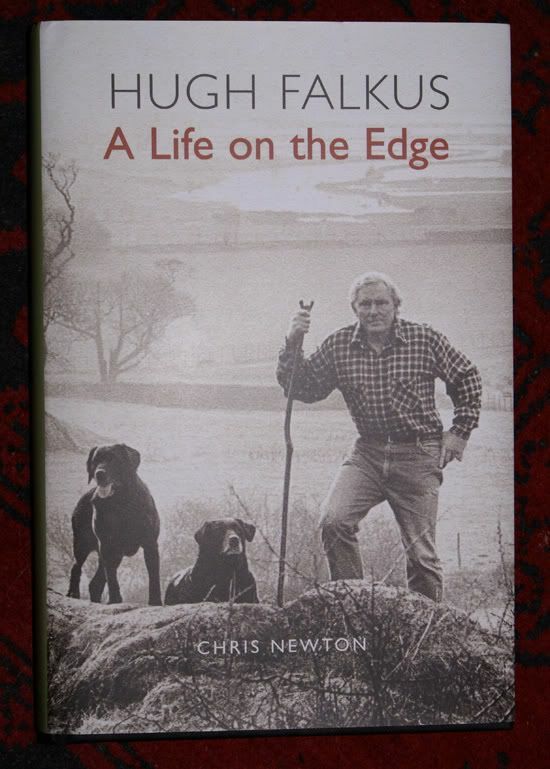 This is the Falkus biography by Chris newton. Colin ask Robbie as he has a fair collection of books and may tell you where you can pick up a copy. ANYONE HAVE A COPY I COULD BORROW? I see in the T & S review of this book it mentions that Falkus' claim to have shot down 3 aircraft was unfounded . A posthumous blow to cred, s*** would have hit the fan if that had come to light before his death. Let us know what you think of the book once you get into it, quite tempted to get a copy myself. I read this book in two sessions as I found it easy to read and did not keep you waiting too long before the next revelation about the life of H.F. It left me with mixed emotions about the man in question. It would be very easy to dislike HF intensely and yet, he had some very traumatic episodes in his life that leave you feeling very, very, sorry for him. If you are a fan of HF, then I urge you to read this book, I do not think you will be disappointed unless you are expecting just another fishing book. It is a very good Biography, that it was of someone I "sort of" hero worshipped made it quite a disturbing read. I think it is fair, and a very, very good book. It's on my reading list - I gather it's a good read and a 'warts and all' account of HF's life. "Warts n All" doesn't come close, the guy had huge personality flaws, and his dealings with friends and Women were "troubled". A great fisherman and film maker, a very odd man. A facinating book.